The result of this hybridisation is an enjoyable, low THC strain with good indoor and outdoor yields. Most strains with low THC contents have less of a psychoactive effect on users, making them better choices for people seeking medical treatment and pain relief without an accompanying high. Even without the strong psychoactive effects that other strains have, it is a pleasurable smoke that medical users can savour. 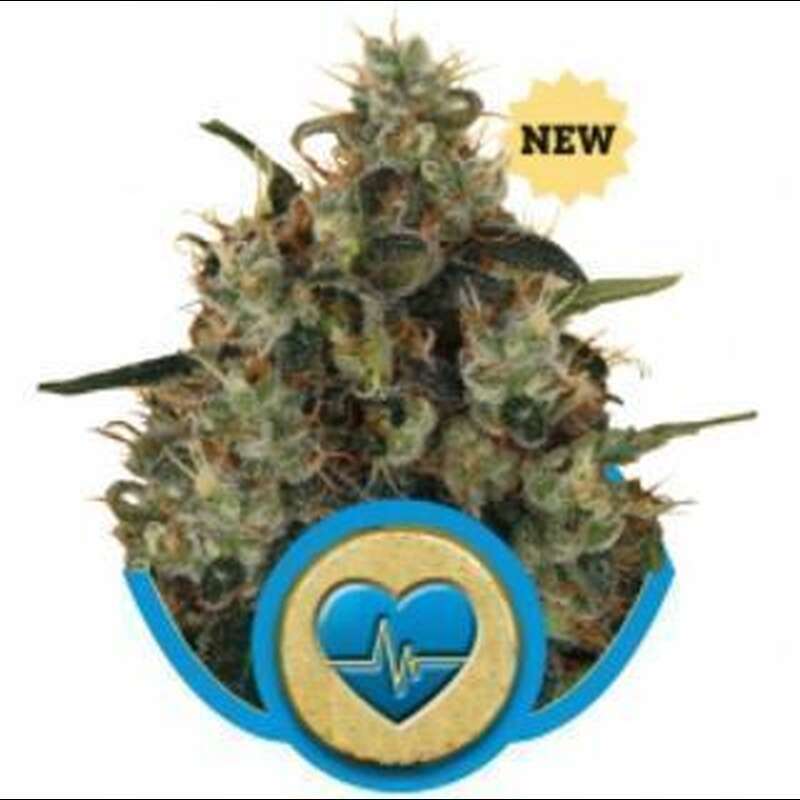 Two of its genetic components, Royal Medic and Royal Highness, get consistently high reviews for their pain-suppressing effects and the quality of their highs. Flavour wise, this strain has a deep, rich, almost honey like sweetness to it, accompanied by a bouquet of complex aromas. It isn't cloying or overpoweringly skunky, so even users who aren't deliberately seeking out a low THC strain for medicinal purposes will still get a lot of enjoyment out of these buds hit after hit. Critical Mass is often recommended for anyone from inexperienced to advanced growers, and this hybrid is pretty similar in that regard. This strain of medical marijuana is a good choice for most growers, no matter whether they are working with a tightly controlled indoor grow room or an outdoor growing setup. Its relatively short growth habit (from 0.6 meters up to about a meter in height) makes it a very manageable plant for indoor growers that don't have a lot of space to devote to a large grow room, and its indoor yield is well within the 500-550 grams per square meter range. Plants that are grown outdoors can reach from between a meter up to around a meter and a half, and yield about 500-550 grams per plant dried. No matter how it's grown, this plant offers a good yield in a small space. This strain has a fairly short flowering time of between 7 to 8 weeks, and can be harvested outdoors around the end of September. This short flowering time, short growth habit, and low THC levels make this strain just about ideal for medical cannabis users who are looking to grow their own medicine on a consistent basis. Growers who want to get the most out of this strain of cannabis' healing and pain relieving properties may want to harvest their plants a bit late in their flowering period, to maximise the buds' ratio of CBD to THC. Overall, Medical Mass is a very good new strain that comes from a really solid background. It smells good, it tastes good, it has a short flowering time, and it should be easy for most growers to handle in terms of both size and care. Users who want to avoid very psychoactive, high THC strains will love this one, and users who are looking to medicate should definitely give it a go.